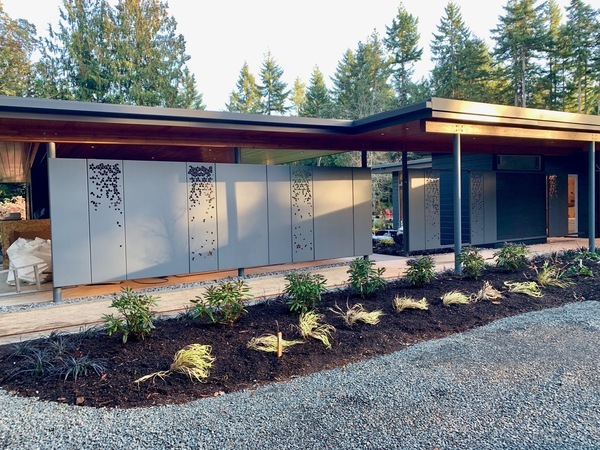 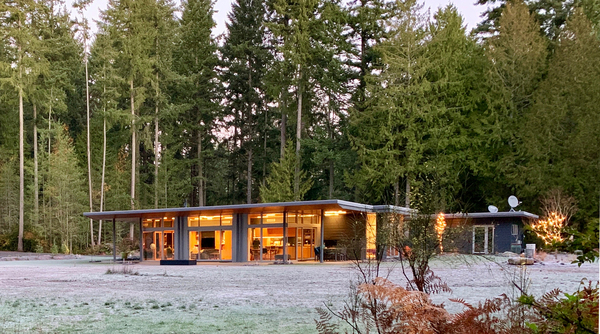 This pavilion style residence fully opens onto a meadow space surrounded by mature trees on Bainbridge Island. 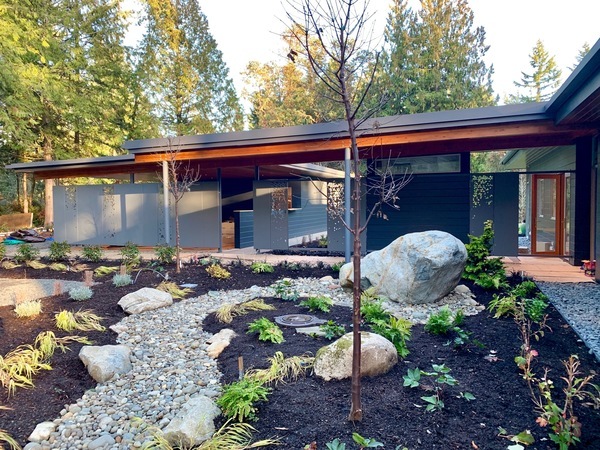 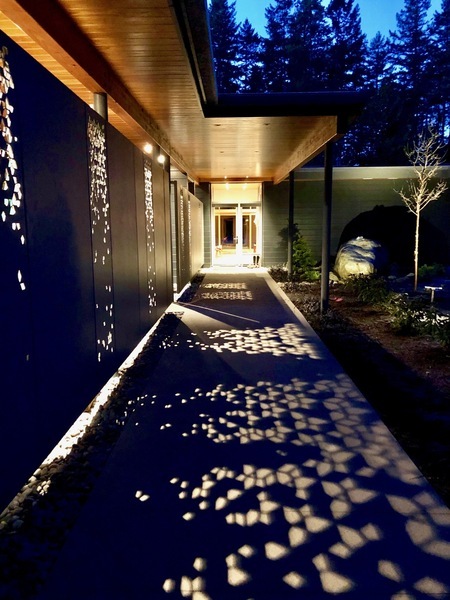 A simple elegance is the goal, with balanced forms that open to a variety of outdoor spaces. 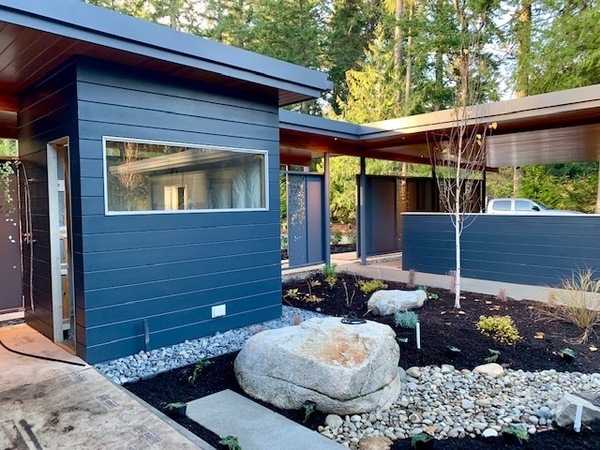 A single tapered roof ties together the residence and carriage house, creating a generous covered entry and outdoor patios.